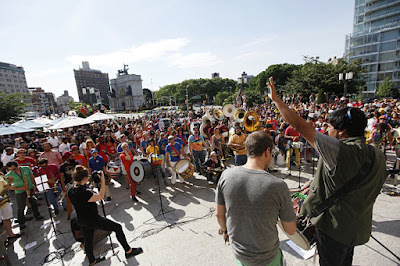 The 2014 Make Music New York festival was the setting for this NPR commissioned work, written for the event by Red Baraat's Sunny Jain. 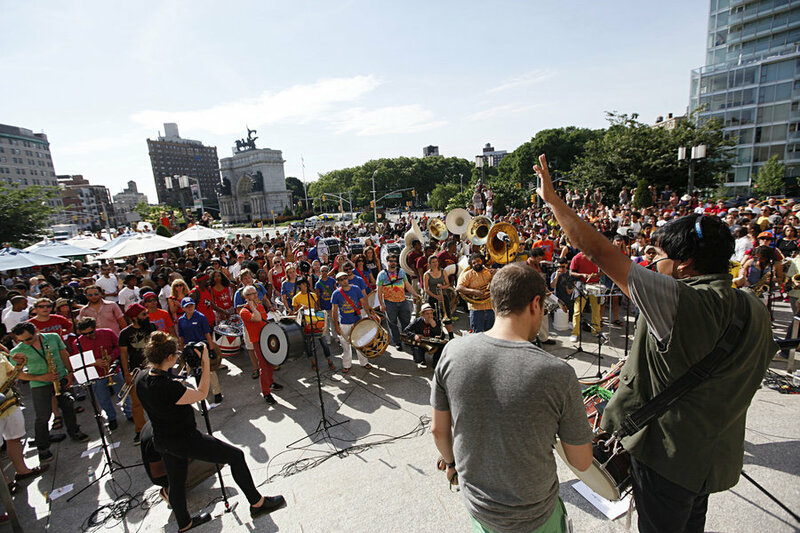 Over 350 musicians of various backgrounds came together for this uplifting celebration on the steps of the Brooklyn Public Library. The piece in two parts is called 100+ B.P.M.